The RCES CHRONICLE is the weekly newsletter from the principal to our parents. Each spring the are additional state mandated assessments as well as local district assessments that students participate in. In the following link you can access the spring testing schedule for Grade 5 MISA testing, Grades 3-5 MCAP testing, Grades K-5 MAP M, Grades 3-5 MAP R, and Grades K-2 MAP RF. There are additional formal and informal assessments that your students participate in, but here you can see the major assessments and the dates your child will be assessed this spring. If you have any questions or concerns, please contact Mr. Randy Aleshevich at randy_c_aleshevich@mcpsmd.org. Students will take the survey during regular school hours on March 19th. The survey will ask students about topics such as student engagement, interactions with adults and with other students in the school, the school environment, bullying, and safety. The survey will not ask about a student’s personal experiences, and students will not be asked to provide any information that might violate his or her privacy. The survey is confidential and school personnel will not have access to the responses of specific students. The responses your child provides will be combined with the responses from other students in the school, and results will be reported for each school and district. We are eager to receive this very important information about your student’s school and about schools across the state. If you have any questions about this survey, please contact Randy Aleshevich at 240-740-1840. Los estudiantes participarán en la encuesta durante el horario escolar regular March 19th. La encuesta les preguntará a los estudiantes acerca de temas tales como involucramiento estudiantil, interacciones con los adultos y con otros estudiantes de la escuela, el ambiente en la escuela, acoso escolar y seguridad.. La encuesta no preguntará acerca de las experiencias personales de un/a estudiante, y no se les pedirá a los estudiantes que provean ninguna información que podría violar su privacidad. La encuesta es confidencial y el personal de la escuela no tendrá acceso a las respuestas de estudiantes específicos. Las respuestas que su hijo/a provea se combinarán con las respuestas de otros estudiantes de la escuela, y los resultados serán reportados por cada escuela y distrito. Estamos ansiosos de recibir esta información tan importante sobre la escuela de su hijo/a y sobre las escuelas de todo el estado. Si tiene cualquier pregunta sobre esta encuesta, por favor comuníquese con Randy Aleshevich llamando al 240-740-1840. Rachel Carson Elementary School is looking for parent volunteers to help during this year’s field day activities. We need people to help run stations, direct the students to the correct locations, and come out to have some fun! Mr. Whitman and Mr. Saylor are working to improve and modify this year’s event. We need your help to make the fun possible! If you are interested, please fill out the following form and return it to your child’s homeroom teacher, Mr. Whitman, or Mr. Saylor. You can choose to help one, or two, if you are a big field day fan! Thank you in advance for all of your help! 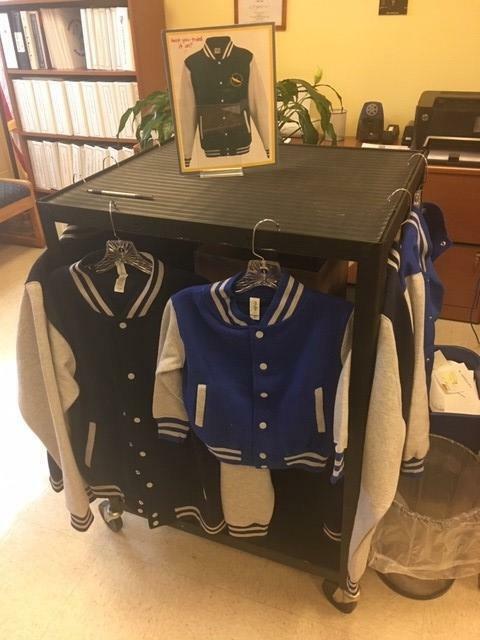 Did you order your RCES jacket? Click HERE to do so. Ordering deadline is Sunday, March 17th. Sample sizes are available in the office. During these orientation days for incoming kindergarten students, there will be No School for current Kindergarten students. You can also register by calling the office at 240-740-1840. Once you register, you will begin receiving emails from the school in a few weeks with information about next steps in the process. If you know of parents in the neighborhood who will have an incoming kindergarten student in the Fall, please share this information with them. Durante estos días de orientación para los estudiantes de kindergarten entrantes, no habrá clases para los estudiantes de Kindergarten actuales. También puede registrarse llamando a la oficina al 240-740-1840. Una vez que se registre, comenzará a recibir correos electrónicos de la escuela en unas pocas semanas con información sobre los próximos pasos en el proceso. Si sabe de padres en el vecindario que tendrán un estudiante de kindergarten entrante en el otoño, por favor comparta esta información con ellos. Greetings form the Energized Guyz! Thank you again for hosting our live performance. Schools participating in The Energized Guyz program are busy saving energy – and that includes your school! 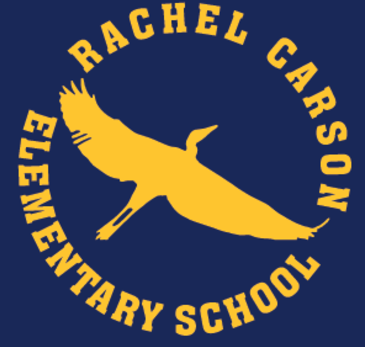 So far, Rachel Carson Elementary School has reached 134 Energy Saver Toolbox requests from your students' families. The school this winter/spring that saves the most energy by requesting the most energy toolboxes by June 3, 2019, will win the grand prize of $1,250. Teachers will earn a $50 Classroom Reward when they return 20 completed Classroom Rewards Forms to us via mail (also by June 3, 2019) using the forms and postage-paid envelopes we have provided to them. Forms can also be returned by scanning and emailing them to StudentEnergySavers@nationaltheatre.com. We recommend that all teachers who wish to qualify for Classroom Rewards hold on to their individual envelopes until they have 20 forms. Turned in less than 20? That’s okay! Teachers are welcome to use these forms not for the Classroom Reward, but simply for the purpose of helping families sign up – or to help give the school an extra boost toward the grand prize. Also – any additional forms that are turned in after the pre-paid envelope gets mailed can be scanned to us. Haven’t heard back after turning them in? Don’t fret – that’s okay, too! Teachers won’t hear back from us until we’ve received 20 complete forms. But know that the families whose forms you did turn in will still receive their energy toolbox! If you have questions at any time, you can always reach us at StudentEnergySavers@nationaltheatre.com. Go for the Grand Prize! Is your school aiming to get the most sign-ups and win the $1,250 grand prize? You can check to see where you compare to other schools on the Track My School page at MDEnergySaverTools.com. Your families and staff can request their Energy Saver Toolboxes and credit your school by going online to MDEnergySaverTools.com with promo code FEMD1819, calling 1-855-343-6600, or simply returning a completed Classroom Rewards Form. We'll share another update soon, but in the meantime, thank you for encouraging your families to request their Energy Saver Toolboxes so they can take part and save energy in their homes! *Rewards are provided by The National Theatre for Children and are not affiliated with Potomac Edison or EmPOWER Maryland. The School Safety Unit of the Traffic Division of the Montgomery County Department of Police offers a week long overnight Leadership camp. The purpose of the school safety patrol camp is twofold: 1) to have fun in the camp environment by making friends and enjoying the activities provided, and 2) to become trained in the proper techniques needed to become a good safety patrol. Campers will learn the various responsibilities of being an effective safety patrol, they will also learn leadership skills, teamwork, traffic safety awareness and how to be a positive role model. This camp teaches a variety of safety skills and character building experiences for any interested rising 5th grader. *Registration is on a First Come-First Serve basis. Camp size is limited to 192 campers per session and camp will fill up FAST. Do not wait, register your child "NOW"!! Questions? Email Sara Gorfinkel, gorfinkel@gmail.com. Thank you! The Rachel Carson Elem School yearbook is for sale. Each page is filled with friends, photos & fun memories! 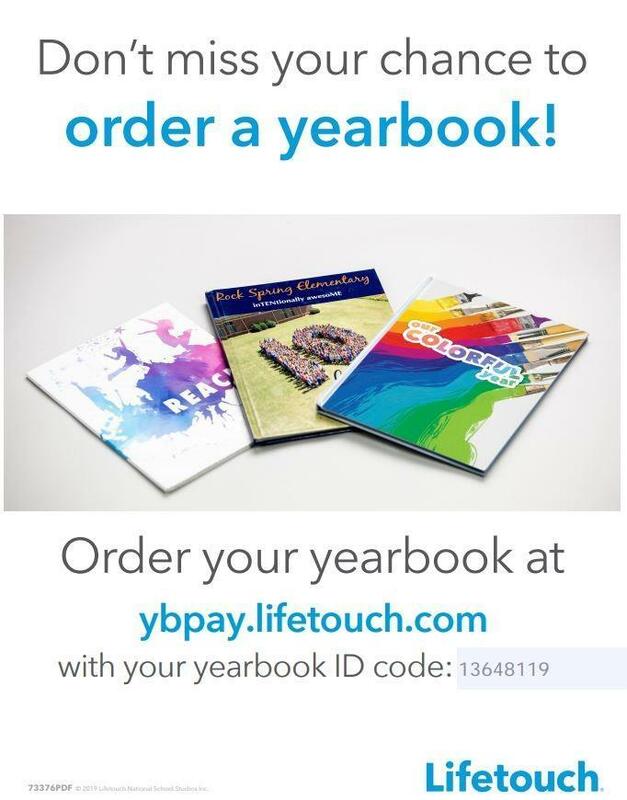 Order your child's copy today at ybpay.lifetouch.com using our school's Yearbook ID Code 13648119. Have you ever dreamed of being on “American Idol” or “So you think you can dance”? Can you play a musical instrument or maybe tell the best jokes? Whatever your talent, RCES stage is for you! Our Variety Show is back! This is your chance to show off, so go to the RCES PTA website at https://rces-pta.membershiptoolkit.com/packet/9177096 to sign up. 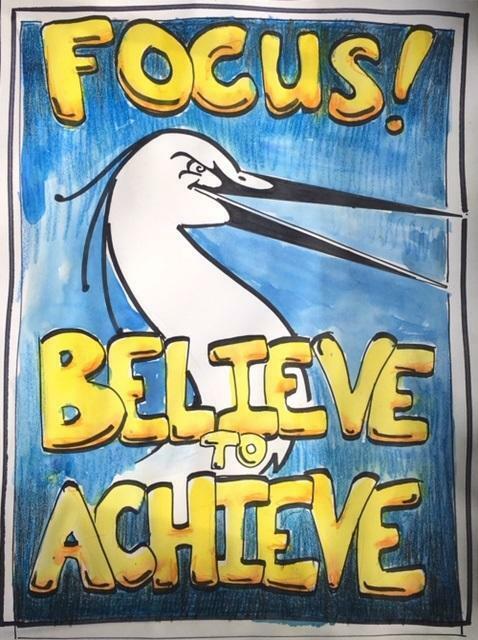 Your friends and family will be cheering you on. We look forward to seeing the many talented students, faculty, and their family at RCES on April 11 for k-2 and April 12 for 3-5! Interested in signing up for an After-school club? Please click HERE to visit the Enrich My Child website where you can register. Choose "Rachel Carson Elementary School" from the drop down menu then click on "search activities". A list of all available activities will be visible. If you have any questions, please contact Jennifer Allen at jenniferreneeallen@gmail.com. The 2018 Annual Report to the Community is now available. The Annual Report to the Community includes highlights from the 2017–2018 school year and the factors driving change in the district. The report provides the community with information about who we are, student performance data, operational performance data, and the steps MCPS has taken to fulfill the vision and mission of MCPS. You can view the Annual Report at www.montgomeryschoolsmd.org/annualreport/2018/index.html. Ya está disponible el Informe Anual a la Comunidad 2018. El Informe Anual a la Comunidad incluye puntos destacados del ciclo escolar 2017–2018 y los factores que impulsan cambios en el distrito escolar. El informe provee a la comunidad con información sobre quiénes somos, datos de rendimiento estudiantil, datos de rendimiento operativo y las medidas que MCPS ha tomado para cumplir con la visión y misión de MCPS. Usted puede ver el Informe Anual en www.montgomeryschoolsmd.org/annualreport/2018/index.html. Montgomery County Government is holding a community conversation on racial equity and social justice on Wednesday, March 13. The event will be hosted by County Council President Nancy Navarro and County Executive Marc Elrich. The County wants to hear from residents. Why does racial equity matter? Are you impacted by racial inequity? What changes do you want to see to promote racial equity and social justice? The event will begin at 7:30 p.m. at the Silver Spring Civic Building, 1 Veterans Plaza in Silver Spring. Call 240-777-7832 with questions. For more information, watch this video: www.youtube.com/watch?v=PkIJiojXQHc&feature=youtu.be. El Gobierno del Condado de Montgomery está presentando una conversación sobre equidad racial y justicia social, el miércoles, 13 de marzo. El evento será presentado por la Presidenta del Concejo del Concejo, Nancy Navarro, y el Ejecutivo del Condado, Marc Elrich. El Condado desea saber la opinión de sus residentes. ¿Por qué es importante la equidad racial? ¿Le afecta a usted la inequidad racial? ¿Qué cambios desea usted ver para promocionar la equidad racial y la justicia social? El evento comenzará a las 7:30 p.m., en el Edificio Cívico de Silver Spring (Silver Spring Civic Building), 1 Veterans Plaza, en Silver Spring. Llame al 240-777-7832 para cualquier pregunta. Para obtener más información, vea este video: www.youtube.com/watch?v=PkIJiojXQHc&feature=youtu.be. Los padres/guardianes que deseen inscribir a sus hijos/as en una clase de Prekindergarten o Head Start en MCPS para el ciclo escolar 2019–2020 pueden hacerlo a partir del 1ro. de marzo. Los niños/as deben haber cumplido cuatro años al 1ro. de septiembre, 2019, o antes de esa fecha, y para poder solicitar las familias deben reunir los requisitos de elegibilidad en virtud de sus ingresos. Para más información sobre las normas de elegibilidad, los lugares y horarios de inscripción en la comunidad, o los documentos que se requieren para completar una solicitud, por llame al 240-740-4530. The Montgomery County Board of Education is seeking to fill one vacancy on its five-member Ethics Panel. The vacancy is for a three-year term beginning on July 1, 2019. Members serve without compensation. Panel members may not be incumbent members of the Board of Education, school officials, employees, or persons employed by a business entity subject to the authority of the Board of Education, or spouses of such individuals. The Panel meets once a year to review financial disclosure forms and as needed to review complaints and requests for advisory opinions. Applicants must submit a letter of interest along with a resumé or other documentation to support the application by 5:00 p.m. on Monday, May 13, 2019, for the appointment to be made at a June 2019 Board of Education meeting. More information is available at www.montgomeryschoolsmd.org/press/index.aspx?pagetype=showrelease&id=8300&type=current&startYear=&pageNumber=&mode. El Consejo de Educación del Condado de Montgomery busca llenar una vacante en su Panel de Ética de cinco integrantes. La vacante tiene un mandato de tres años, comenzando el 1ro. de julio, 2019. Los miembros no reciben compensación monetaria. Los miembros del panel no pueden ser miembros titulares del Consejo de Educación, funcionarios escolares, empleados o personas empleadas por una entidad empresarial sujeta a la autoridad del Consejo de Educación o los esposos/as de dichos individuos. El panel se reúne una vez al año para revisar los formularios de declaración financiera y, según sea necesario, para revisar quejas y pedidos de opiniones consultivas. Los solicitantes deben presentar una carta de interés junto con un currículum vitae u otra documentación de apoyo a la solicitud, antes de las 5:00 p.m., del lunes, 13 de mayo, 2019, para que se programe una cita durante la reunión de junio 2019 del Consejo de Educación. Hay más información disponible en: www.montgomeryschoolsmd.org/press/index.aspx?pagetype=showrelease&id=8300&type=current&startYear=&pageNumber=&mode. Calling all Montgomery County businesses, government agencies, and nonprofits! MCPS Partnerships Unit is now taking applications to become a host for the 2019 Summer RISE program! Summer RISE provides rising Montgomery County Public Schools (MCPS) juniors and seniors with career-based learning experiences and helps employers to cultivate a talent pipeline. Summer RISE provides educational learning opportunities and introduces students to career options. For more information about Summer RISE and how to register as a host, visit www.MCPS-SummerRISE.org. Llamada a todos los negocios, agencias del gobierno y organizaciones sin fines de lucro del Condado de Montgomery. La Unidad de Colaboraciones de MCPS (MCPS Partnerships Unit) está aceptando solicitudes para anfitriones del programa Summer RISE 2019. Summer RISE proporciona a los estudiantes que ingresarán a los Grados 11 y 12 en Montgomery County Public Schools (MCPS) experiencias de aprendizaje basadas en carreras y ayuda a los empleadores a cultivar la reserva de talento. Summer RISE provee oportunidades educativas de aprendizaje y presenta opciones profesionales a los estudiantes. Para más información sobre Summer RISE y cómo inscribirse como anfitrión, visite www.MCPS-SummerRISE.org. You are receiving this email because of your relationship with Rachel Carson Elementary. If you wish to stop receiving email updates sent through the Blackboard service, please unsubscribe. If you are NOT receiving this email and you have a relationship with Rachel Carson Elementary, please call the school 240-740-1840.